Consolidation Loans - Can They Help You Manage Your Debts? Applying for consolidation loans is a great way to manage your debts. If you are juggling to pay a couple of debts and you are finding the total to be a huge amount, this is a way for you to get out of that. Take this scenario as an example. If you are currently paying off a student loan, car loan and 3 different credit cards, you may find the different due dates, amounts and lenders difficult to monitor. At this point, you can decide to take out one big loan to combine all of your other loans. That way, you only have to pay one lender. That can also lengthen your payment schedule – thus lowering the monthly amount that you have to meet. That is what consolidation loans can do for you. When you opt for consolidating your debt, it does not necessarily mean your balance will diminish. On the contrary, it could get bigger (depending on the type of loan that you will acquire). But that does not remove the fact that pooling in your loans will promise to make things a lot easier for you. It will help you work on lowering your total debt by lowering your monthly payments and making thing simple. The way it works is this: your new lender will try to purchase your old loans for a lower rate. Most of the time, they succeed but this is not a guarantee. While that is true, the interest rate on your new loan with this new lender will not necessarily be lower. The chances of you getting a higher interest rate is more likely – especially if you have a bad credit score or a history of late payments. You just have to be careful with this because paying only one lender may seem like you have less debt – thus prompting you to think you can take out another loan. You should only apply for consolidation loans if you are determined to lower your total debt. Otherwise, you will only be tempted and may end up increasing your financial problems. Not only that, this could look bad on your credit score. That means so your chances of getting a new loan may be riddled with higher interest rates. 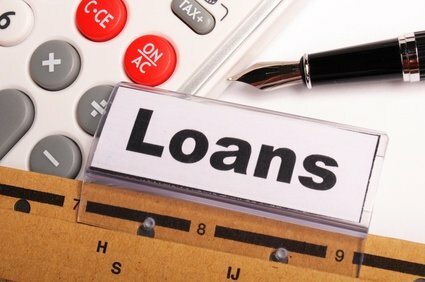 Opting for a loan consolidation reflects your inability to manage your credit obligations and that does not bode well for your reputation. However, there are instances wherein this is the best option – especially with bankruptcy cases. Just make sure you pay off your debts on time – that will help improve your credit score in the long run. Now that you know what is in store for you when you combine your loans, here are the different types that you can avail. Home Equity Loans. This type involves using your home as collateral. This is also known as a secured loan. The drawback is having your home foreclosed when you fail to pay for this debt. Credit Card Balance Transfer. This type allows you to transfer your other credit card debts into one card. Some banks offer low rates for these balance transfers but it is only for a promotional gimmick. You have to be aware of the duration period before you apply for this type of consolidation loan. Personal Loan. You can take out a personal loan and use it to pay off your other debts. This is also known as an Unsecured loan. This is only advisable for people with a good credit standing – otherwise, you could be paying for a huge interest rate on this debt. Debt Consolidation Loan. Banks and other credit companies offer actual Debt Consolidation Loans with lower interest rates. As mentioned before, this is when lender buy off your old loan for a lower rate. This is probably the best type that you can opt for. NationalDebtRelief.com is a debt settlement company that offers a great option other can consolidation loans. We will help you arrive at a settlement that will ultimately lower the amount that you have to pay – based on what you can afford. Allow us to explain it to you further. Give us a call and we will gladly assist you.